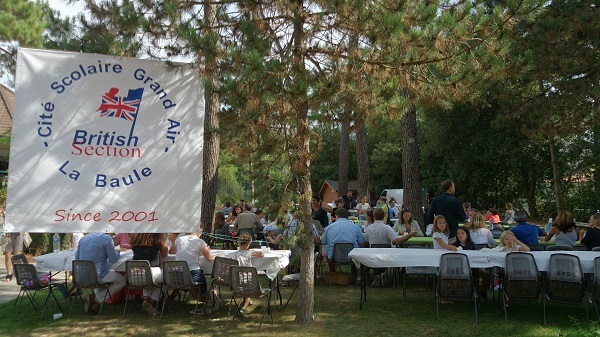 The AGM of Grand Air's British Section took place on Friday 19th September 2014 in the Lycée's amphitheatre. 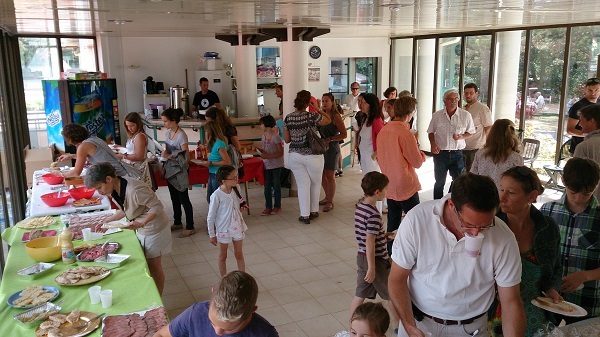 Parents were greeted with an apéritif and a slice of quiche or pizza from 5:45 pm onwards. Our thanks to all those who participated or handed in their votes via friends so that the AG could take place in due form. Mr. Dominique Daniel, Secretary, opened the meeting . 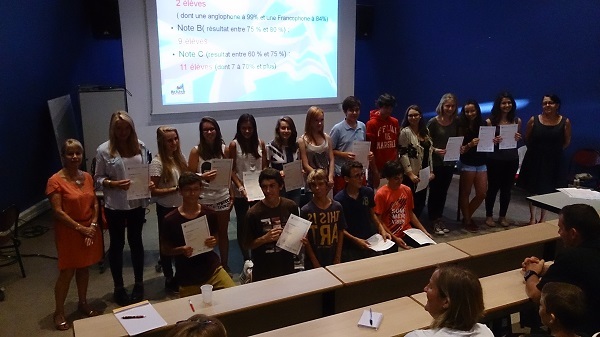 In the absence of the Headmaster, Mr. Somveille, who could not attend, Mrs Jordy and Mrs. Verdon described the various school years and the different exams that they had taken, as well as their results. They also commended the British Section teachers for their commitment and excellent work(Mr. Briffaud, Mrs. Chicaud, Mrs. Morin and Mrs. Blasco) as well as the students for their hard work and excellent results. Those students who had sat and passed the First Certificate or Advanced Certificate were given their diplomas to the applause of the auditorium. 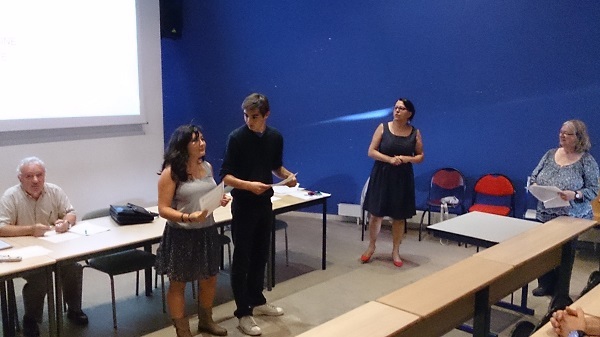 The meeting followed the Order of the Day, with the presentation of the Section, the past year's activities and future projects, the validation of the accounts, the validation of the seering committee, and lastly the registration of parent volunteers for : the Collège library, representatives for the Conseils de classe and various School and Section committees. 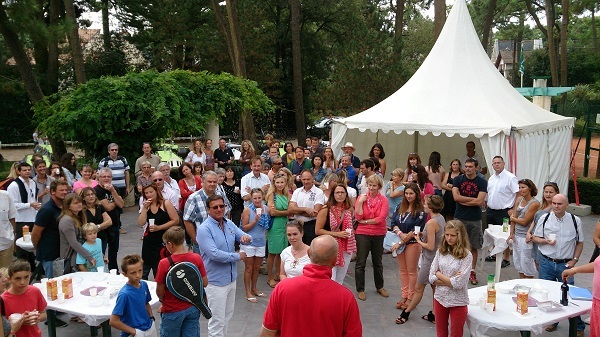 The British Section's Annual Garden Party for the fourth consecutive year at La Baule's beautiful Tennis Club 'Le Garden'. The weather was with us and we all enjoyed mingling, old and new alike, with the Section's new families. 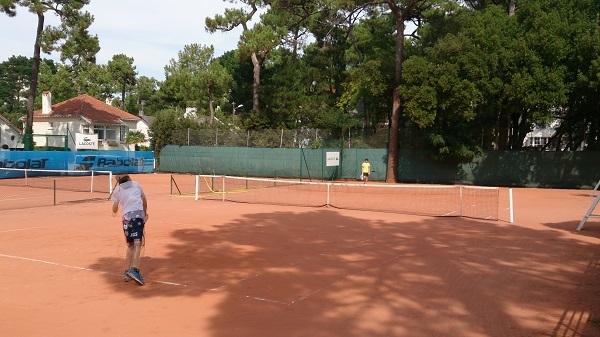 The 'Prosecco' wine was delicious, the sporty ones stuck with fruit juice and started their tennis matches right away! We then moved on to a superb buffet of various salads, patés and cold cuts followed by the delicious desserts that everybody had made. Thank you!! Conversation flowed as we ate our lunch sitting at tables set up under the trees with some music. 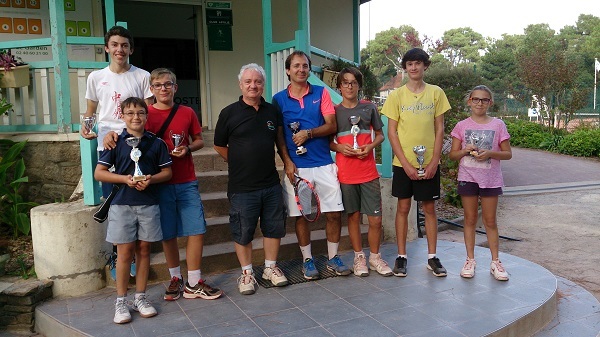 The tennis matches went on until 6 pm and ended with a prize-giving ceremony. Well done to all the participants and winners! 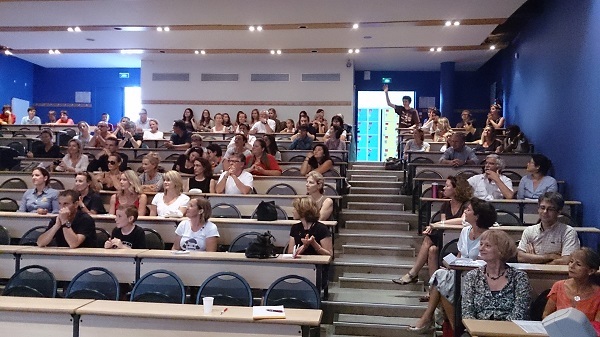 And thank you to the British Sections' teachers who came specially to the party. And above all, thank you to all the parents, new and old, who lent a hand to prepare ( and clear up!). We couldn't have done it without you!! Lastly, a big thank you to you all for coming and making it so enjoyable!! The Garden Party provides us an ideal opportunity to meet other parents, to share experiences and new ideas and make new friends and contacts . This year, the party will take place at the Garden Tennis Club which we have taken over for the occasion. You are therefore cordially invited to join us for a welcome drink followed by a buffet lunch from midday onwards.